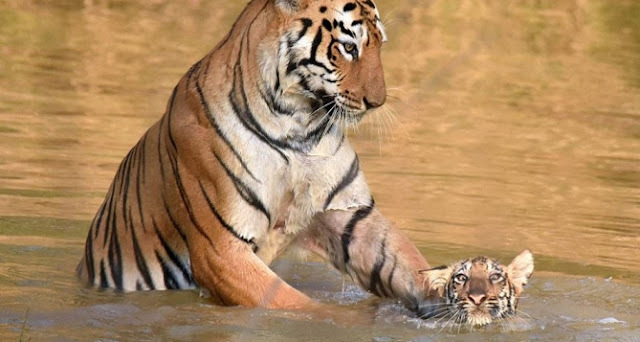 Most adults would admit that bath time can be tricky. 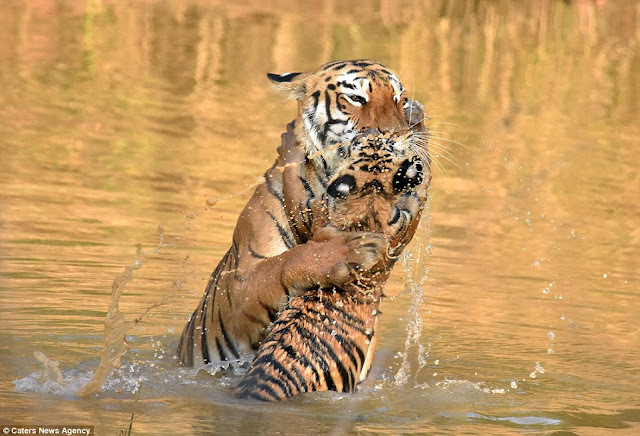 And even this mother tiger seems to be struggling as she attempts to give her cub a good clean. 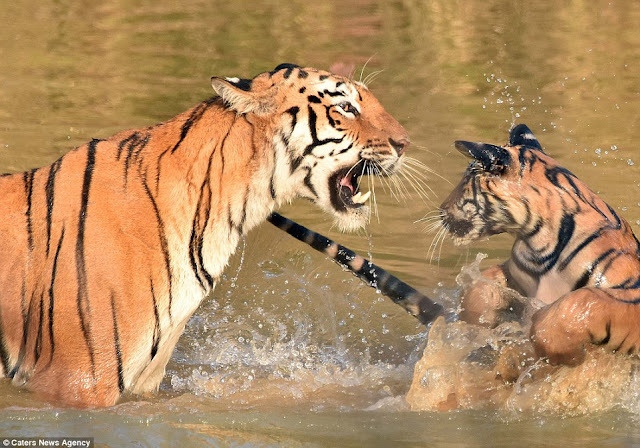 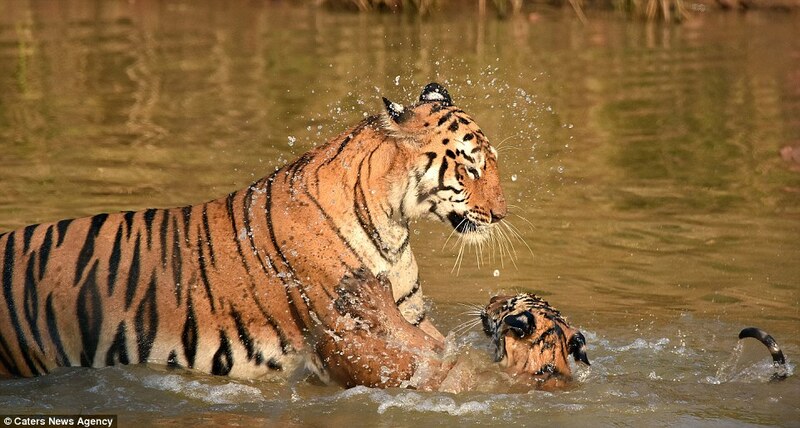 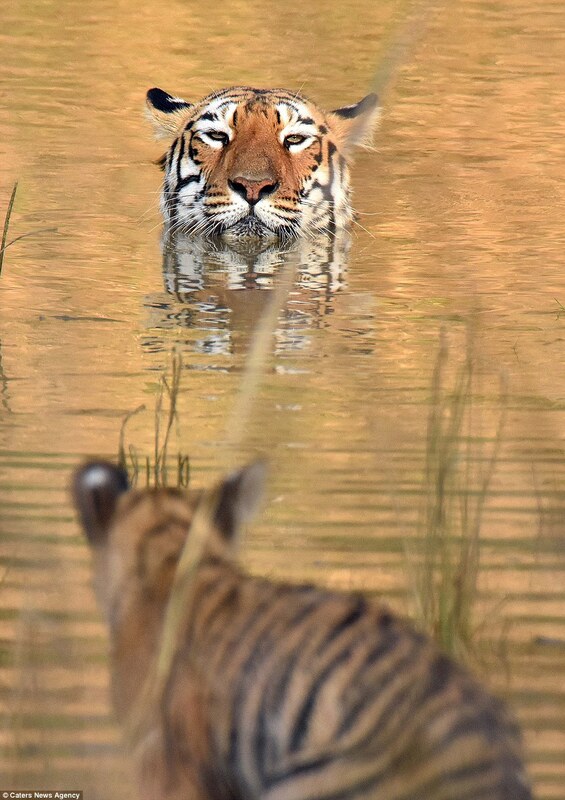 She had taken her child down to the river in the Tadoba-Andhari Tiger Reserve in Maharashtra, India, but the infant was more interested in splashing around and playing games than getting clean. 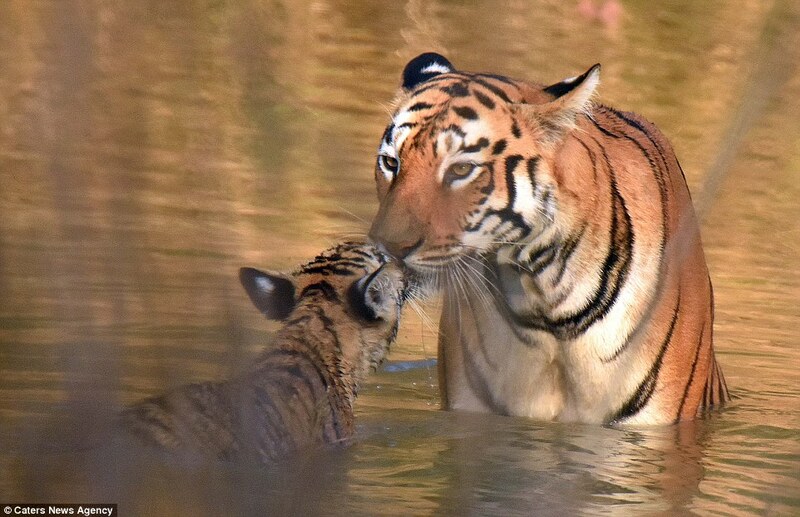 But the doting mum didn't snarl, and instead gave the youngster a kiss on the lips once she had finished bathing it. 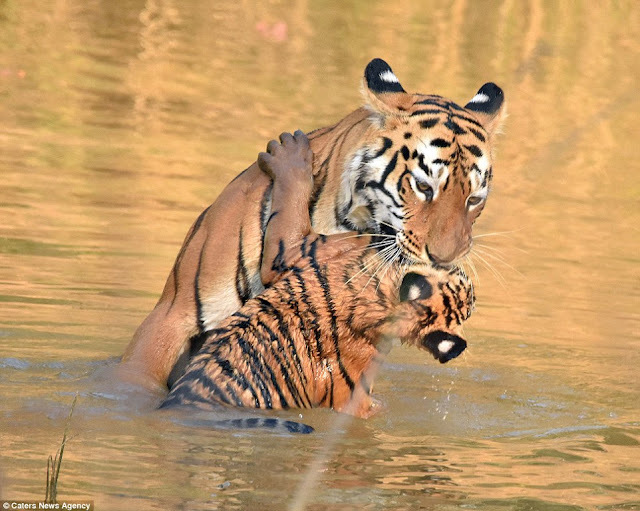 The adorable photos were captured by Ninad Sane, 26, a software tester and amateur photographer from Mumbai. Ninad had been visiting the tiger reserve to observe the big cats' behaviour. Ninad said: 'I had been waiting to see the tiger mother and her cubs for a long time before they eventually emerged going down to the river. 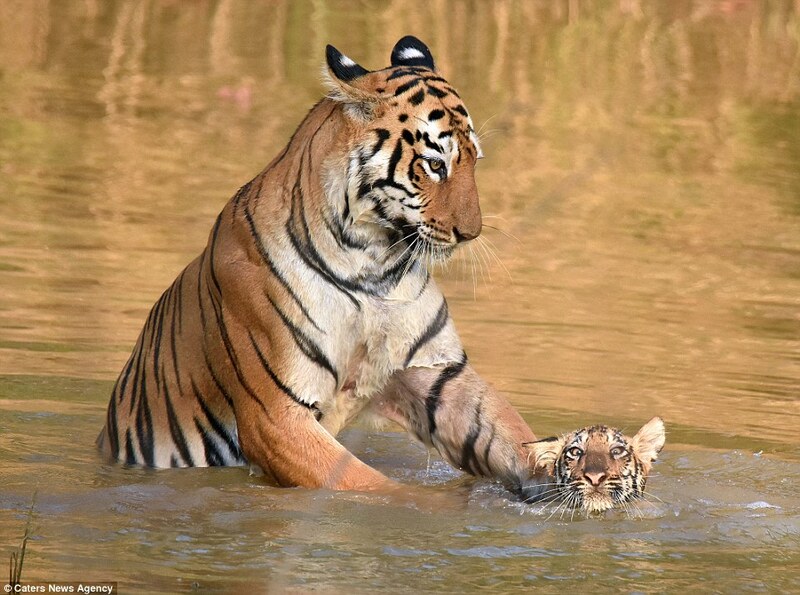 'The mother was in the water with her cub and it immediately started jumping around and splashing, a lot like a human child would do in the water. Responses to "Tiger Cub Really Didn't Want To Take A Bath "